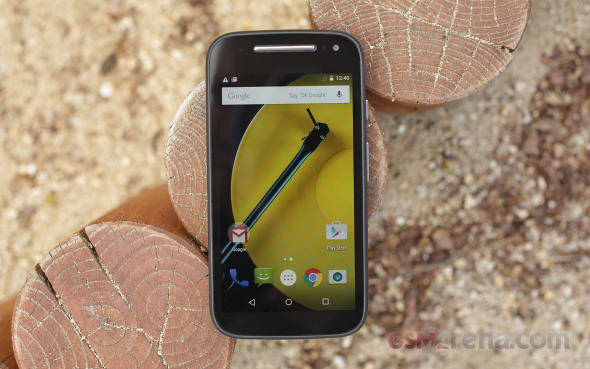 Almost a year later we are getting the second generation Moto E, which improves on the basics established by its affordable predecessor. 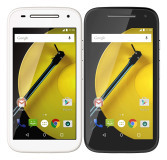 The Motorola Moto E (2nd Gen) continues the legacy of a lag-free Android system provided by a powerful hardware set on a bargain price. This time however, the build quality is noticeably better and the screen size is more adequate. 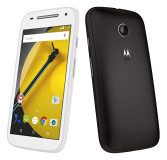 The new Moto E got a tiny .2" screen bump to 4.5", but keeps the resolution at 540 x 960px presented on an IPS LCD matrix. The Snapdragon 410 chip is in charge of operations on the new Moto E (2nd Gen) for an even better and faster performance. There is LTE connectivity, too, plus the internal storage got doubled to 8 gigs. Finally, camera geeks will be happy to learn the camera has been improved with auto-focus and HD video recording. 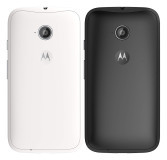 Oddly, Motorola will be also offering a slightly less-capable 3G model, which is powered by the rather dated Snapdragon 200 chip, while keeping the rest of the novelties. Let's explore the complete feature list. 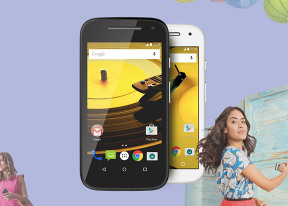 The Snapdragon 410 upgrade, which offers LTE connectivity is the most welcome new feature with the Moto E (2nd Gen). We really doubt many people will go for the lesser 3G model, which seems behind the curve, but maybe with a proper pricing it could serve as a good alternative. The build quality on both devices should be identical and it's a huge improvement on the last year's Moto E. The lack of removable battery is probably the biggest flaw of the new Moto E, but then again that's where most of the droids, including the Moto series, are heading today. Stay with us after the break for our traditional hardware checkup and battery life impressions.